THE TRUE HISTORY OF CHOCOLATE by Michael Coe and Sophie Coe. Ask around for the best book on chocolate history and you'll wind up here. It is the best. Written by Yale Professor of Anthropology Emeritus Michael Coe and his late wife Sophie Coe, the knowlege of Olmec, Maya and Aztec historical context, artifacts and source material is deep. Deep, deep, deep. This book proposed the theory that chocolate production started in the Olmec civilization (not just the Maya and the Aztec) and is a source of study for many of the world's best chocolatiers. Amazon/Alibris. CHOCOLATE IN MESOAMERICA: A Cultural History of Cacao by Cameron L. McNeil. Want details? You'll find 500 pages on the early days of chocolate from this Honduran anthropologist. AN ILLUSTRATED HISTORY OF CHOCOLATE by Marcia and Frederic Morton. This is a beautiful, well-written book on the history of chocolate - full of carefully researched photgraphs you won't find elsewhere. Amazon/Alibris. CHOCOLATE: The Bittersweet Saga of Dark and Light by Mort Rosenblum. This international journalist has made a study of chocolate's history and tells an insightful story of chocolate's history and politics. Amazon/Alibris. CHOCOLAT: Behind the Scenes by Phillipe Bertrand & Phillipe Marciani. An inspiring book of chocolate sculpture from the corporate pastry chefs of Barry-Callebaut, the world's biggest chocolate maker. The sculptures, with how-to advice & recipes, are unforgettable. Try Chips Books for this one. CHOCOLATE ARTISTRY by Elaine Gonzalez. Elaine Gonzalez is widely known in the chocolate biz as an inspiring pro & teacher - she leads tours through the Tabasco region of Mexico and knows the early legends of Quetzelcoatal, god of chocolate. Her chocolate centerpieces are inspiring. Visit her website www.elainegongalez.com to learn more. CHOCOLATE PASSION by Tish Boyle and Temothy Moriarty. Greatness. 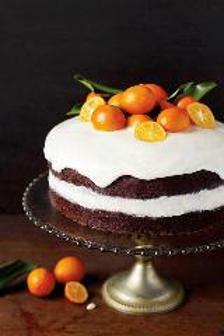 Lots of elegant desserts, all of them with some invention. Tish & Timothy, editors of CHOCOLATIER MAGAZINE which is now DESSERT PROFESSIONAL MAGAZINE (www.dessertprofessional.com), and all of Tish's books, like DINER DESSERTS, THE CAKE BOOK and PLATING FOR GOLD, are winners. 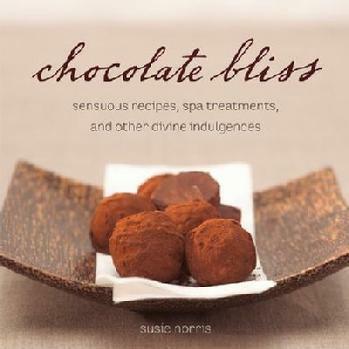 Maida Heatter's BOOK OF GREAT CHOCOLATE. Don't be shy. When you order this book, go ahead and order two or three more by this prolific, charming and infallible author. Her recipes are masterful. Amazon/Alibris. SPAGO CHOCOLATE by Mary Bergin & Judy Gethers. What is it about SPAGO desserts that are always superb? This book offers the same reliable excellence of its namesake, Wolfgang Puck's famed restaurant. Mary Bergin & Judy Gethers cover the quality basics (mousses, ice creams, truffles), but with surprises, inventions and signature gold leaf decorations. Amazon/Alibris. THE EMPERORS OF CHOCOLATE: Inside the Secret World of Hershey & Mars by Joel Glenn Brenner. Extensive portraits of the families and companies who created American chocolate empires. This reporter's fact-finding mission with companies that are notoriously press-averse makes for a great read. Amazon/Alibris. THE GREAT BOOK OF CHOCOLATE by David Lebovitz. This author is the happiest chocolate writer I know. His how-to book is full of recipes geared to the home cook, lots of fun facts, and solid research about sources & chocolate brands. www.davidlebovitz.com Amazon/Alibris. SAVEURS CHOCOLATEES by G. J. Bellouet & J. M. Perruchon. Very professional and very artful - the kind of book you peruse instead of going to the movies. This and other art & professional pastry books from Europe are available at Chip's Books. 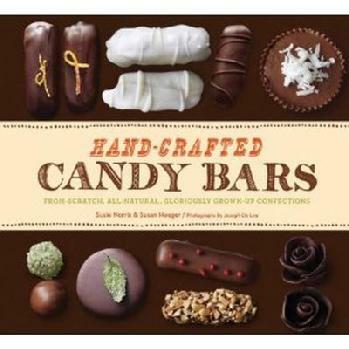 THE CHOCOLATE COMPANION: A Connoisseur's Guide to the World's Finest Chocolates by Chantal Coady. ALL BOOKS BY ALICE MEDRICH. THE ESSENCE OF CHOCOLATE BY THE SCHARFFEN BERGER CHOCOLATIERS.